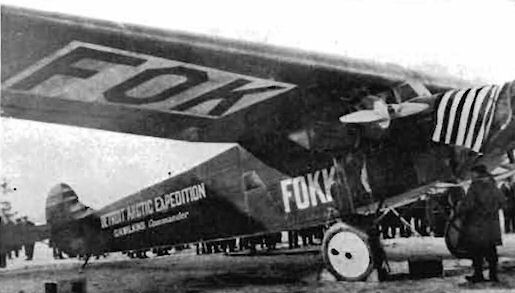 The Fokker Trimotor F-VII during the ceremony in which it was christened "Detroiter". Note conspicuous application of "Fokker". 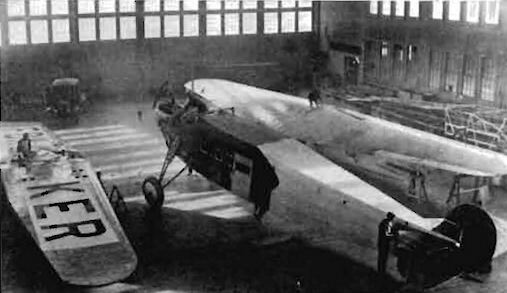 The two Fokkers of the Wilkins expedition in the Peterborough factory - the single-engine model in the foreground and the uncovered fuselage of the trimotor as received from Holland in the background.